Top, Lyon, with the old city in the foreground. Centre, the Pont Bonaparte, at night, and the Pont Lafayette. Bottom, the Place Bellecour, with the Basilique de Notre-Dame de Fourvière and the Tour Metal in the background. Lyon (UK or ; French pronunciation: ( ), locally: ; Franco-Provençal: Liyon ; also spelled Lyons in English) is a city in east-central France, in the Rhône-Alpes region, situated between Paris and Marseille. Lyon is located approximately 470 kilometres (292 miles) from Paris, 320 km (199 mi) from Marseille, 420 km (261 mi) from Strasbourg, 160 km (99 mi) from Geneva, 280 km (174 mi) from Turin. 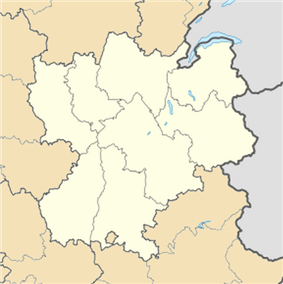 The residents of the city are called Lyonnais. The small municipality (commune) of Lyon proper has a population of 491,268 (January 2011), but together with its suburbs and satellite towns Lyon forms the 2nd-largest metropolitan area in France with a population of 2,188,759 at the January 2011 census. 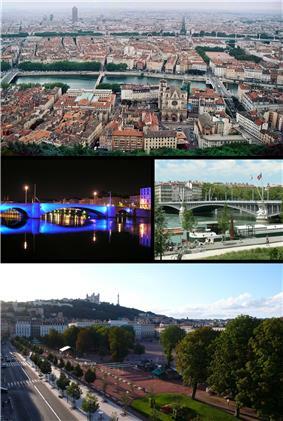 Lyon is the capital of the Rhône-Alpes region, as well as the capital of the smaller Rhône département. The city is known for its historical and architectural landmarks and is a UNESCO World Heritage Site. Lyon was historically known as an important area for the production and weaving of silk and in modern times has developed a reputation as the capital of gastronomy in France. It has a significant role in the history of cinema due to Auguste and Louis Lumière, who invented the cinematographe in Lyon. The city is also known for its famous light festival 'Fête des Lumières' which occurs every 8 December and lasts for four days, earning Lyon the title of Capital of Lights. Legend says that the Virgin Mary saved the city from the plague and, to thank her, a statue was built. On the day it was erected, the whole city was lit by candles that its citizens had put at their windows. The local professional football team, Olympique Lyonnais, has increased Lyon's profile internationally through participation in European football championships. 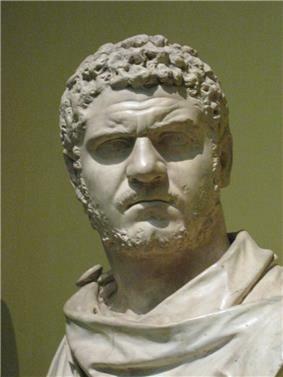 Main article for early, mainly Roman, history: Lugdunum. 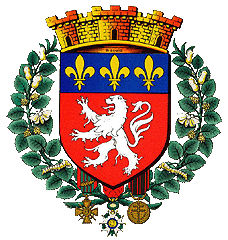 Main article for both Roman and later history: History of Lyon. Fourvière hill was a Roman colony in 43 BC by Munatius Plancus, a lieutenant of Caesar, on the site of a Gaulish hill-fort settlement called Lug[o]dunon, from the Celtic god Lugus ('Light', cognate with Old Irish Lugh, Modern Irish Lú) and dúnon (hill-fort). Lug[us] was equated by the Romans to Mercury. Marcus Vipsanius Agrippa recognized that Lugdunum's position on the natural highway from northern to south-eastern France made it a natural communications hub, and he made Lyon the starting point of the principal Roman roads throughout Gaul. It then became the capital of Gaul, partly due to its convenient location at the convergence of two navigable rivers, and quickly became the main city of Gaul. 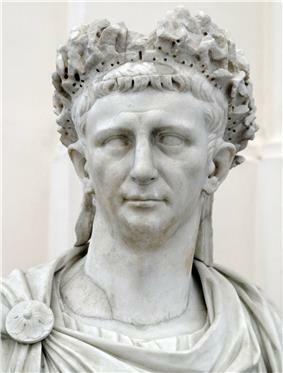 Two emperors were born in this city: Claudius, whose speech preserved by Lyon Tablet, justified the nomination of Gallic senators and Caracalla. Today, the archbishop of Lyon is still referred to as "Primat des Gaules" and the city often referred to as the "capitale des Gaules". The Christians in Lyon were martyred for their beliefs under the reigns of the various Roman emperors, most notably Marcus Aurelius and Septimus Severus. Local saints from this period include Blandina (Blandine), Pothinus (Pothin), and Epipodius (Épipode), among others. In the 2nd century AD, the great Christian bishop of Lyon was the Easterner Irenaeus. Burgundian refugees fleeing the destruction of Worms by the Huns in 437 were resettled by the military commander of the west, Aëtius, at Lugdunum, which became the capital of the new Burgundian kingdom in 461. In 843, by the Treaty of Verdun, Lyon, with the country beyond the Saône, went to Lothair I, and later became a part of the Kingdom of Arles. 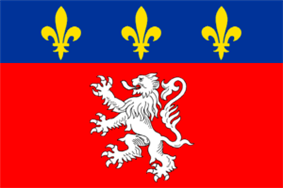 Lyon came under French control in the 14th century. Fernand Braudel remarked, "Historians of Lyon are not sufficiently aware of the bi-polarity between Paris and Lyon, which is a constant structure in French development...from the late Middle Ages to the Industrial Revolution". In the late 15th century, the fairs introduced by Italian merchants made Lyon the economic countinghouse of France. (Even the Bourse (treasury), built in 1749 resembled a public bazaar where accounts were settled in the open air.) When international banking moved to Genoa, then Amsterdam, Lyon remained the banking centre of France. 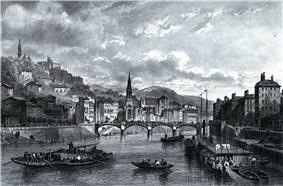 In 1572, Lyon was a scene of mass violence against Huguenots in the St. Bartholomew's Day Massacres. During the Renaissance, the city's development was driven by the silk trade, which strengthened the city's ties to Italy. 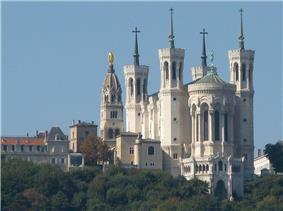 (Italian influence on Lyon's architecture can still be seen today.) Thanks to the silk trade, the city became an important industrial town during the 19th century. 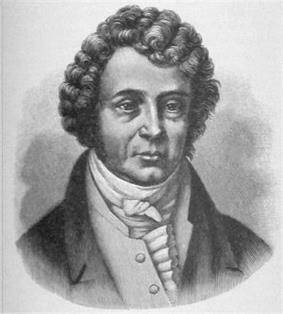 In 1831 and 1834, the canuts (silk workers) of Lyon staged two major uprisings. The 1831 uprising saw one of the first recorded uses of the black flag as an emblem of protest. In 1862, the world's first funicular railway was built between Lyon and La Croix-Rousse. The lion has been the symbol of the city for centuries and is represented throughout the city. East of the Rhône from the Presqu'île is a large area of flat ground upon which sits much of modern Lyon and contains most of the city's population. Situated in this area is the urban centre of Part-Dieu which clusters the Tour Part-Dieu (affectionately nicknamed "The Pencil"), the Tour Oxygène, the Tour Swiss Life, La Part-Dieu (a shopping centre) and Lyon Part-Dieu (one of Lyon's two major rail terminals). North of this district is the relatively wealthy 6th arrondissement, which is home to the Parc de la Tête d'Or (one of Europe's largest urban parks), the prestigious Lycée du Parc to the south of the park, and Interpol's world headquarters on the park's western edge. The park contains a free zoo that has recently been upgraded. Lyon lies in the broad transition zone between the Temperate Oceanic climates of northern France, and the subtropical Mediterranean climates to the south. Although Lyon does not share the drier summers typical of Mediterranean climates, it has summer temperatures that are warmer than typical temperate oceanic climates. 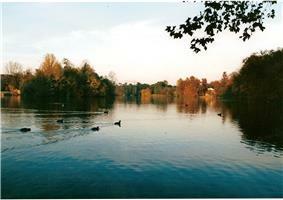 In contrast, Lyon does not share the higher winter rainfall and cool summer temperatures typical of oceanic climates. Thus, Lyon appears to be located somewhat in the broad transition zone between these two climate types. The mean temperate in Lyon in the coldest month is 3.2 °C (37.8 °F) in January and in the warmest month in July are 22 °C (71.6 °F). Precipitation is adequate year-round, at an average of 830 millimetres (32.7 in), but the winter months are the driest. Lyon is the capital of the Rhône-Alpes région, the préfecture of the Rhône département, and the capital of 14 cantons, covering 1 commune, and with a total population of 491,268 (2011). Since the Middle Ages, the residents of the region speak several dialects of Arpitan language. The Lyonnais dialect was partly replaced by the French language as the importance of the city grew. However, it is still alive and, in addition, some "frenchified" Franco-Provençal words can also be heard in the French of the Lyonnais, who call their little boys and girls "gones" and "fenottes" for example. 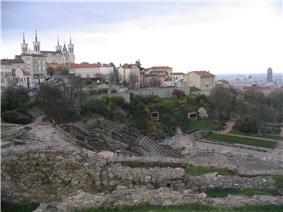 The Historic Site of Lyon was designated a UNESCO World Heritage Site in 1998. In its designation, UNESCO cited the "exceptional testimony to the continuity of urban settlement over more than two millennia on a site of great commercial and strategic significance." The specific regions composing the Historic Site include the Roman district and Fourvière, the Renaissance district (Vieux Lyon), the silk district (slopes of Croix-Rousse), and the Presqu'île, which features architecture from the 12th century to modern times. Both Vieux Lyon and the slopes of Croix-Rousse are known for their narrow passageways (named traboules) that pass through buildings and link streets on either side. 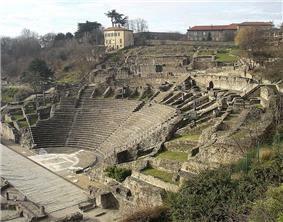 The first examples of traboules are thought to have been built in Lyon in the 4th century. The traboules allowed the inhabitants to get from their homes to the Saône river quickly and allowed the canuts on the Croix-Rousse hill to get quickly from their workshops to the textile merchants at the foot of the hill. Lyonnaise cuisine is renowned. For several centuries Lyon has been known as the French capital of gastronomy, due in part to the presence of many fine chefs including Paul Bocuse and other gastronomes like Colette Sibilia. This reputation also comes from the fact that two of France's best known wine-growing regions are located near Lyon: the Beaujolais to the North, and the Côtes du Rhône to the South. Beaujolais wine is very popular in Lyon and remains the most common table wine served with local dishes. Lyon is the home of very typical and traditional restaurants serving local dishes, and local wines served at bouchons. The city is famous for its morning snacks formerly had by its silk workers, the mâchons, made up of local charcuterie and usually accompanied by Beaujolais red wine. 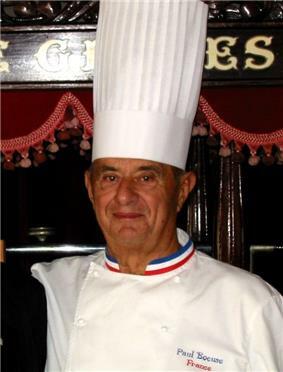 Traditional local dishes include Rosette lyonnaise and saucisson de Lyon (sausage); andouillette (a sausage of coarsely cut tripe); pistachio sausage; coq au vin; esox (pike) quenelle; gras double (tripe cooked with onions); salade lyonnaise (lettuce with bacon, croûtons and a poached egg); marrons glacés; coussin de Lyon, sabodet and cardoon au gratin. Cervelle de canut (lit. silk worker's brains) is a cheese spread/dip, a Lyonnais speciality. The dish has a base of fromage blanc, seasoned with chopped herbs, shallots, salt, pepper, olive oil and vinegar. Lyon is home to the Ligue 1 football team Olympique Lyonnais, commonly known as "Lyon" or "OL". Team members have enjoyed unprecedented success recently, winning seven consecutive national titles and establishing themselves as France's premier football club. The team competes in the prestigious UEFA Champions League and currently plays at the Stade de Gerland, where the Danone Nations Cup is held every year. The team is set to move to a new stadium in Décines-Charpieu (in the eastern suburbs) in 2016, one which will hold 61,556 people. Lyon also has a rugby union team, Lyon OU, recently promoted to Top 14. In addition, Lyon has a rugby league side: Lyon Villeurbanne, play in the French rugby league championship. The club's current home ground is Stade Georges Lyvet in Villeurbanne. Lyon is also home to the Lyon Hockey Club, an ice hockey team that competes in France's national ice hockey league. The Patinoire Charlemagne is also the seat of Club des Sports de Glace de Lyon, the club of Olympic champions Marina Anissina and Gwendal Peizerat, and world champions Isabelle Delobel and Olivier Shoenfelder (both pairs competed in ice dancing). Finally, Villeurbanne also has a renowned basketball team, ASVEL, whose members play at the Astroballe arena in Laurent Bonnevay. 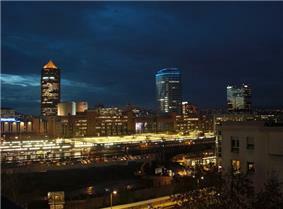 The GDP of Lyon is 62 billion euro, and the city is the second richest city after Paris. Lyon and its region Rhône-Alpes represent one of the most important economies in Europe and, according to Loughborough University, can be compared to Philadelphia, Mumbai or Athens concerning its international position. The city of Lyon is working in partnerships to more easily enable the establishment of new headquarters in the territory (ADERLY, Chambre du commerce et d'industrie, Grand Lyon...). According to the ECER-Banque Populaire, Lyon is the 14th favorite city in the European Union concerning the creation of companies and investments. High-tech industries like biotechnology, software development, game design, and internet services are also growing. Other important sectors include medical research and technology, non-profit institutions, and universities. Lyon is home to some of the most dangerous viruses in the world (class 4) in the Jean Merieux laboratory of research, like Ebola, Marburg, Nipah, Hendra, and Lassa. The city is the headquarters of many companies like Euronews; Lyon Airports; BioMérieux; Sanofi Pasteur; LCL S.A.; Cegid Group; Boiron; Infogrames; Groupe SEB; Renault Trucks; Irisbus; LVL Medical, GL Events; Compagnie Nationale du Rhône; and intergovernmental agencies IARC, Interpol. The specialization of some sectors of activities has the consequence of creating several main business centers: La Part-Dieu, located in the 3rd arrondissement is the second biggest business quarter after La Défense in Paris with over 1,600,000 m2 (17,222,256.67 sq ft) of office space and services and more than 40,000 jobs. Cité Internationale, created by the architect Renzo Piano is located in the border of the Parc de la Tête d'Or in the 6th arrondissement. The worldwide headquarters of Interpol is located there. The district of Confluence, in the south of the historic centre, is a new pole of economical and cultural development. Tourism provides a big boost to the Lyon economy with one billion euros in 2007 and 3.5 million hotel nights in 2006 provided by non-residents. Approximately 60% of tourists visit for business, with the rest for leisure. 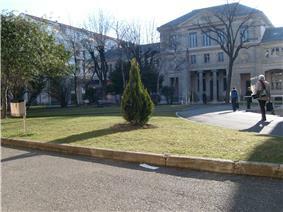 In January 2009, Lyon ranked first in France for hostels business. The festivals most important for attracting tourists are the Fête des lumières, the Nuits de Fourvière every summer, the Biennale d'art contemporain and the Nuits Sonores. The population of the city of Lyon proper was 491,268 at the January 2011 census, 14% of whom were born outside Metropolitan France. The city proper is only the central area of the much larger Lyon metropolitan area which had 2,188,759 inhabitants at the January 2011 census. Musée des beaux-arts de Lyon (Fine Arts Museum), main museum of the city and one of the largest art galleries in France. Housed in the "Palais Saint Pierre", a former 17th-century convent, it displays a major collection of paintings by artists (including Tintoretto; Paolo Veronese; Nicolas Poussin; Rubens; Rembrandt; Zurbaran; Canaletto; Delacroix; Monet; Gauguin; Van Gogh; Cézanne; Matisse; Picasso; Francis Bacon...); collections of sculptures, drawings and printings, decorative arts, Roman and Greek antiquities; the second largest collection of Egyptian antiquities in France after that of the Louvre; and a medal cabinet of 50 000 medals and coins. Saint-Exupéry International Airport, located east of Lyon, serves as a base for domestic and international flights. It is an important transport facility for the entire Rhône-Alpes region. Coach links connect the airport with other towns in the area including Chambéry and Grenoble. With its in-house train station (Gare de Lyon Saint-Exupéry), the airport is also connected to the TGV network. Since August 2010, the new Rhônexpress tram links the international airport with the business quarter of La Part Dieu in less than 30 minutes and can reach up to 100 km/hour; it offers connections with Underground A&B, Tramway T1,T2 & T3, and many bus lines. The Lyon-Bron Airport is a smaller airport dedicated to General Aviation (both private and commercial). Having helipads, the facility hosts a Gendarmerie and a Sécurité Civile (civilian defence) Base. Lyon has two major railway stations: Vaise, Vénissieux, Saint-Paul and Jean Macé. Lyon is connected to the north (Lille, Paris, Brussels, and in the future Amsterdam) and the south (Marseille, Montpellier, and in the future Barcelona, Turin) by the TGV. Since 23 March 2012 there is also a direct TGV connection from Frankfurt via Strasbourg and Lyon to Marseille. It was the first city to be connected to Paris by the TGV in 1981. ^ a b c d "Séries historiques des résultats du recensement - Commune de Lyon (69123)". INSEE. Retrieved 29 July 2014. ^ "Séries historiques des résultats du recensement - Unité urbaine 2,010 de Lyon (00,758)". INSEE. Retrieved 29 July 2,014. ^ a b c "Séries historiques des résultats du recensement - Aire urbaine 2,010 de Lyon (002)". INSEE. Retrieved 29 July 2,014. ^ "Lyon entrepreneurship, Lyon company, Invest Lyon – Greater Lyon". Business.greaterlyon.com. Retrieved 3 April 2011. ^ "Innovation Cities Top 100 Index, 2011". Innovation Cities Program. 18 October 2011. Retrieved 22 November 2012. ^ "Prévisions météo de Météo-France". 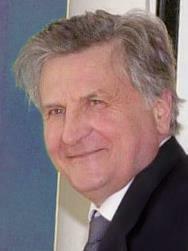 ^ "Pierre Alain Muet Archives 2008". Pa-muet.com. 17 June 2008. Retrieved 25 January 2010. ^ www.lyon-business.org. "Chiffres-clés Lyon & sa région" (in French). ^ "Le laboratoire P4, ménagerie virale". 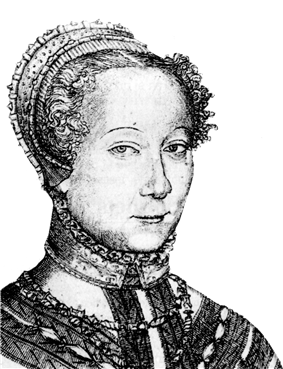 Le Monde. France. Retrieved 8 July 2009. 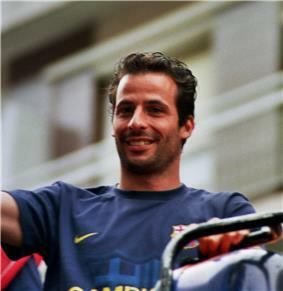 ^ "Official site of Lyon". Grandlyon.com. Retrieved 3 April 2011. ^ "Le nouveau profil de la population active immigrée". http://www.insee.fr. ^ a b c d e f g h i j k l m n o p q "Partner Cities of Lyon and Greater Lyon". 2008 Mairie de Lyon. Retrieved 21 October 2008. ^ "Twinning the Cities". City of Beirut. Retrieved 17 March 2009. ^ "Frankfurt -Partner Cities". 2008 Stadt Frankfurt am Main. Retrieved 5 December 2008. ^ "[via WaybackMachine.com]"Guangzhou Sister Cities. Guangzhou Foreign Affairs Office. Archived from the original on 24 October 2012. Retrieved 2013-07-21. ^ "Leipzig – International Relations". © 2009 Leipzig City Council, Office for European and International Affairs. Retrieved 17 July 2009. ^ "[via WaybackMachine.com]"Miasta partnerskie - Urząd Miasta Łodzi . City of Łódź (in Polish). Archived from the original on 24 June 2013. Retrieved 2013-07-21. ^ "Montreal partner city". Lyon.fr. Retrieved 5 February 2009. ^ "Saint Petersburg in figures – International and Interregional Ties". Saint Petersburg City Government. Retrieved 23 November 2008. 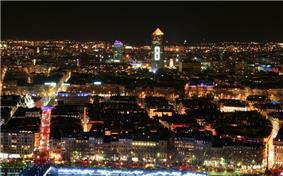 ^ "Yerevan - Partner Cities". Yerevan Municipality Official Website. © 2005—2013 www.yerevan.am. Retrieved 2013-11-04. ^ "Yerevan Municipality – Sister Cities". © 2005–2009 . Retrieved 22 June 2009. ^ "Sister Cities"Official Yokohama City Tourism Website: . Yokohama Convention & Visitors Bureau. Retrieved 11 November 2008. 2011: Les Adoptés by Melanie Laurent. The public transit system has been complemented since 2005 by Vélo'v, a bicycle network providing a low-cost and convenient bicycle-hire service where bicycles can be hired and dropped off at any of 340 stations throughout the city of Lyon and Villeurbane, Lyon was the first city in France to introduce this bicycle renting system. Borrowing a bicycle for less than 30 minutes is free. Free rental time can be extended to another 15 minutes at any station. In 2011 the Auto'lib car rental service was introduced; it works exactly like the Velo'v but for cars. In 2008, an 'RER' (commuter rail) project was started, with the objective of linking Lyon with the surrounding cities which are growing fast. It should have a total of 8 lines and will replace the actual TER lines operated by the SNCF (National French Railway Network). It was planned to be fully finished by 2010. The ticketing system is quite simple right now, knowing that the city has only one operator for public transport; the SYTRAL (TCL is the brand name used for the transport, it stands for Transport en Commun Lyonnais (Lyon Common Transport)). The TCL (for Transports en Commun Lyonnais), Lyon's all-four public transit system, consisting of metro, tramways and buses, serves 62 communes of the Lyon agglomeration. The metro network has 4 lines (A B C D), 42 stations and runs with a frequency of up to a train every 2 minutes. There are 5 Lyon tram lines ( T1 T2 T3 T4 T5) since April 2009: T1 from Montrochet in the south to IUT-Feyssine in the north, Tram T2 from Perrache railway station in the southwest to Saint-Priest in the southeast, Tram T3 from Part-Dieu to Meyzieu, Tram T4 from Mendès-France to Feyzin ant Tram T5 from Grange Blanche, in the South-East to Eurexpo in the South-East. 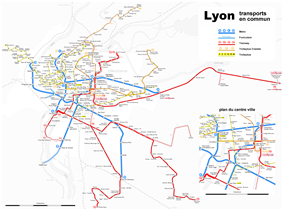 The Lyon bus network consists of the Lyon trolleybus system, motorbuses, and coaches for areas outside the centre. There are also two funicular lines from Vieux Lyon to Saint-Just and Fourvière.